The Pioneer Woman's newest culinary venture sounds like a pretty yummy idea for man's best friend. 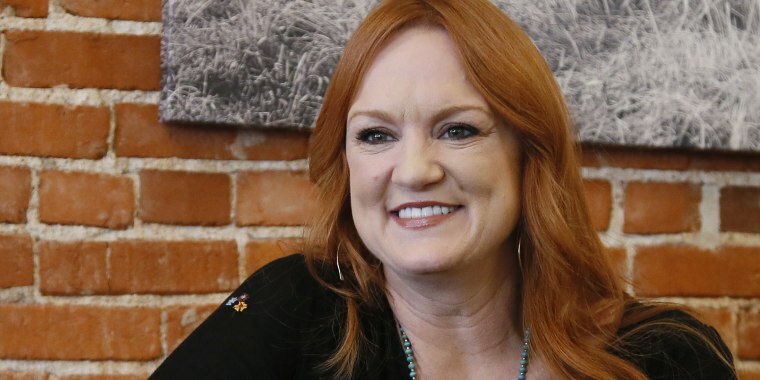 Ree Drummond is spreading her love for home-cooked meals beyond the table ... to the floor. The Pioneer Woman just announced her latest food-focused collaboration and it's not meant for humans. Drummond has teamed up with Purina to create a line of dog treats inspired by some of her most popular recipes for people. Drummond cited her “love for dogs” (she absolutely adores basset hounds) as the biggest inspiration behind her latest venture. “Every one of my crunchy and meaty treats are all natural and made with simple ingredients, AND (most importantly, according to them, haha) ... all the Drummond doggies love them,” Drummond posted to Instagram. The dog treats come in three different categories: Crunchy (which has flavors like Chicken & Blueberry Waffles and Classic Shortcake Biscuits); Meaty (with flavors like Chicken & Apple Jerky Strips, Chicken Parmesan Bites and Beef & Brisket BBQ), and two types of chews. The Chicken Parmesan flavor has many ingredients that you'd expect in people food, like basil, salt, Parmesan cheese and thyme. A few of the treat recipes do contain different types of soy, which some dogs may be allergic to so it's important to discuss introducing any new treat to your dog with a trusted veterinarian. The first ingredient in all of the treats is meat and the Crunchy and Meaty lines are all sourced, produced and packaged in U.S. facilities. The chews are produced in Mexico. Many of the treats are also free of grain for dogs with sensitive stomachs. The treats will be sold at Walmart and Sam’s Clubs locations starting this week. Of course, this isn’t Drummond’s first time on the shelves at Walmart. She already has her own line of colorful pressure cookers and several lines of dinnerware with various floral designs on the market. Last fall, Drummond also released her first line of prepared foods, marking her first foray into the frozen section of supermarkets. "My number one goal with my new line of entrees and sides is to give folks a taste of my family’s favorite dishes, all ready to heat and serve,” Drummond said of "heat and eat" meals. Now everyone in the family can enjoy the Pioneer Woman’s home-cooked meals — even if they have four legs.